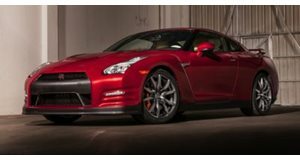 Which Godzilla Looks Angrier: 2017 GT-R Nismo Vs. 2016 GT-R Nismo? Last week Nissan revealed its updated 2017 GT-R Nismo. The twin-turbo, 600 hp 3.8-liter V6 remains unchanged, but there are other improvements such as additional chassis bracing and revised shock absorbers. And like the 2017 GT-R, the GT-R Nismo received a styling refresh inside and out, the latter bringing with it a number of aero improvements. We were already big fans of the 2016 GT-R Nismo, and the updated car, in our opinion, looks even better. More than likely, this will be the last major (and so far only) update the R35 GT-R will receive before it's retired. But what do you think? Did Nissan go far enough with the styling changes? Or is this just right? Should Nissan quit messing around with a car that's quickly approaching a decade old and launch the R36? And speaking of which, should the R36 adapt an EV powertrain? A hybrid similar to what's been done with the McLaren P1 and LaFerrari? So many questions, we know. But hey, we're talking about Godzilla here, unquestionably one of our favorite high-performance machines on sale today.